Henley is subject to The Data Protection (Jersey) Law 2018 and the Data Protection Authority (Jersey) Law 2018. Henley may also be subject to the EU General Data Protection Regulation ("GDPR") and the Data Protection (Bailiwick of Guernsey) Law 2017. These data protection laws give you more rights about how your information is used. Henley comprises companies that advise upon Mortgages, Investments, Protection Policies and Pensions. What Are Our Key Principals? We will ensure your information is kept up to date if you inform us of any changes, or amended if we have made any errors. Hayley Carstairs (Director) is the appointed Data Controller (the "Data Controller") for Henley, who determines the need for personal data to be held and how it is processed. The Data Controller is also responsible for notifying the Information Commissioner of the information it holds, how it is used and purposes for which it is held. Why Do We Hold Personal Information And Data? We have to hold details of the individuals and companies who have requested to use our services in order that we may assist them. However, we only use these details to provide the services the person or company has requested or other closely related purposes. This information is held in paper form, stored on an electronic data base and processed via telephone, fax and email. HOFS / HOMS hold and process personal data for the functionality of business with the industries it advises upon. Based upon the legal grounds for processing personal data. HOFS / HOMS needs to ensure activities involving the processing of personal information are undertaken under one of the six legal grounds for processing. How Long Do We Hold Your Information (Data Retention)? We retain personal information only for as long as necessary to carry out these functions. To determine the appropriate retention period for personal data, we consider the amount, nature and sensitivity of the personal date, the potential risk of harm from unauthorised use or disclosure of your personal data, the purposes for which we process your personal data and whether we can achieve those purposes through other means, and the applicable legal requirements. Currently, if you contact our offices to seek some preliminary information or advice, we will retain the information you provide for a period of 12 months. This period is to allow you time to get back in touch, if you need any further assistance or decide to use our services. Any records relating to mortgage business written will be retained for the duration of the contract, plus 5 additional years. Any records relating to investment or protection business written will be retained for the duration of the contract, plus 5 additional years. 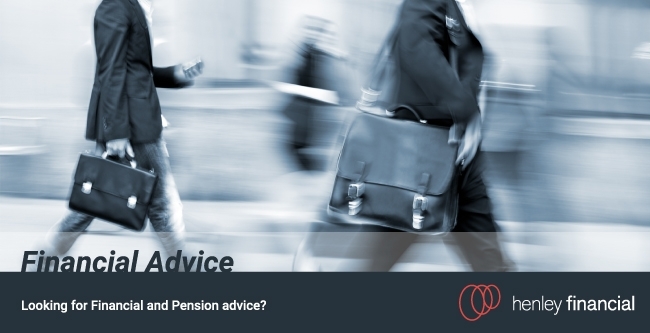 We are required to retain any records relating to pension transfer advice indefinitely. What Happens After The Required Retention Period? Henley will then destroy your personal data including all paper and electronic records. Henley has measures in place to ensure the security of the data we collect and that it will only be accessible by authorised staff. Any third party we work with must confirm they also adhere to GDPR and only process your personal information in line with our instructions. Public electronic communications service providers are required by law to report any security breaches involving personal data to Henley. Henley will ensure that all data is non-recoverable from any computer systems we may have previously used within the organisation if it is replaced. Want to Know More about Our Websites? When someone visits www.henleyfinancial.je or www.mortgageshop.je we use a third party service, Google Analytics, to collect standard internet log information and details of visitor behaviour patterns. We do this to review activity such as the number of visitors to the various parts of the sites. This information is only processed in a way which does not identify anyone. We do not make, and do not allow Google to make, any attempt to find out the identities of those visiting our websites. If we do want to collect personally identifiable information through our website, we will be up front about this. We will make it clear when we collect personal information and will explain what we intend to do with it. Henley uses a third party service to help maintain the security and performance of our websites. To deliver this service it processes the IP addresses of visitors to the websites. Cookies are small text files that web servers can store on your computer's hard drive when you visit a website. They allow the server to recognise you when you revisit the website and to tailor your web browsing experience to your specific needs and interests, and help to maintain your security when you log into our secure services. For full details please see our cookies policy via our website. Want To Know More About Our Search Engine? Our Search Engine is powered by the CMS and only searches data published by Henley. Searches are not logged, they are there purely for the benefit of any visitors to our webpages. Want To Know More About Our Mortgage Shop Bulletin? We use a third party provider (Mailchimp), to deliver our Mortgage Shop Bulletins. We gather statistics around email opening and click throughs using industry standard technologies, including clear gifs, to help us monitor and improve our e-newsletter. What Social Media Do Henley Use? Henley uses both Facebook and LinkedIn to post various marketing materials. If you send us a private or direct message via social media the message will be stored by the respective plaftforms for three months. The message, and the information contained within, will not be shared with any other organisations unless requested to do so. How Secure are the Emails Sent To And From Henley? We use Transport Layer Security (TLS) to encrypt and protect email traffic. If your email service does not support TLS, you should be aware that any emails we send or receive may not be protected in transit. Do We Transfer Your Information Internationally? Henley will make best endeavours to not send personal data outside of Jersey / EU / Countries with adequacy status. Any information that is to be sent to any other country will be done so as per our Policies and Procedure, which are available upon request. Right to the origin of personal data if not provided by yourself. If you wish to exercise any of the rights set out above, please contact our Data Controller. If you have a compliant about how your information has been processed, you should put full details of your complaint in writing to the Data Controller. What is the Compliant Process? We will keep personal information contained in complaint files in line with our retention policy. This means that information relating to a complaint will be retained for a specified number of years (please see above for our data retention policy). It will be retained in a secure environment and access to it will be restricted according to the ‘need to know’ principle. How Can I Make A Compliant To The Supervisory Body?